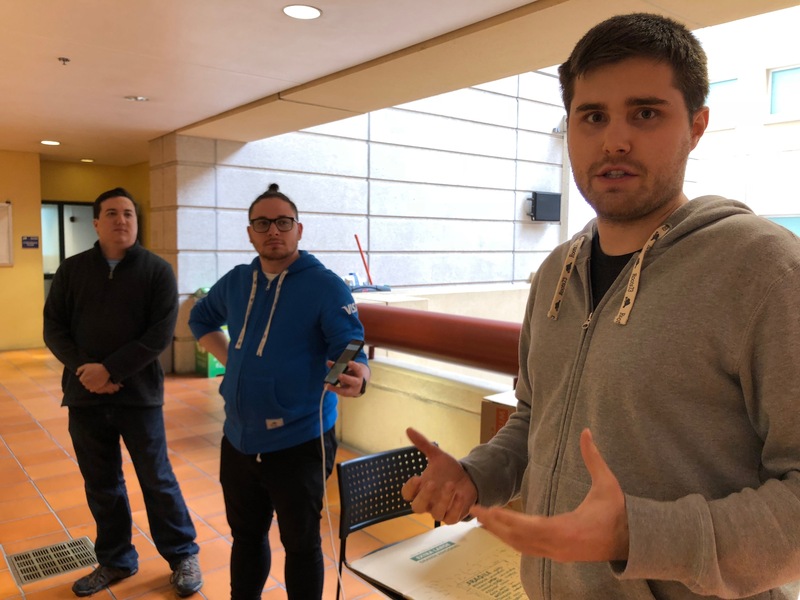 We continued to prove we can build great, dynamic software solutions in a very short time (24Hours) in the eMerge 2018 Hackathon, where the theme this year was disaster preparedness and emergency response. These are topics that have been on everyone’s mind in South Florida in the wake of the devastation left behind by Hurricane Irma. So what did we build this week? 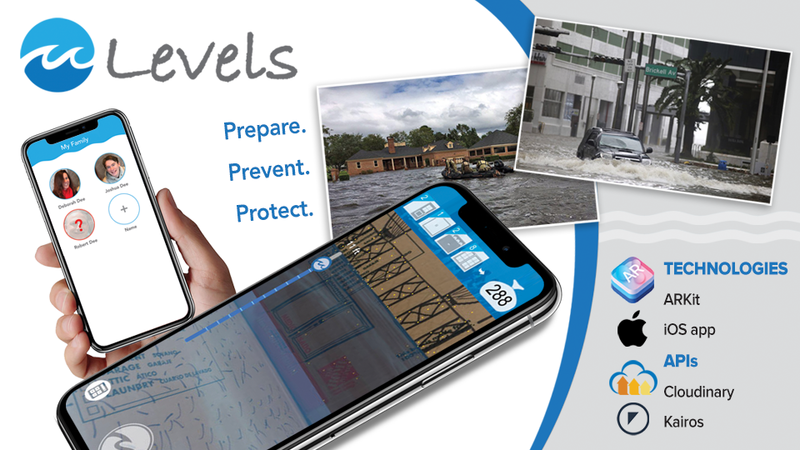 The idea behind the AR portion of the solution was simple: By visualizing potential flood levels in real-time, it would help users get a much better sense of what different levels of storm surge could really do to their properties. The app also contained a supply calculator that estimates the number of sandbags needed in order to ward off different levels of flooding based on different elements of the property to be protected. But when disaster strikes, protecting one’s property is far less important than protecting one’s loved ones. Even though the worst of Irma missed South Florida, thousands were temporarily displaced to shelters that could often be overcrowded and chaotic. The most stressful moments of any disaster that compromises the communication or power grids is not knowing whether friends and family are safe; toward that end, Levels includes a built-in ‘Missing Person Finder’ that uses an integrated facial recognition tool from Kairos to match a current photo with one that would be stored in a central database. For privacy reasons, Levels does not give the actual location of the individual, but a confirmed check in via the app would post that person as accounted for and provide peace of mind until more thorough communication channels were restored. Levels is obviously just a prototype project at this point, but it utilizes a number of innovative APIs (from Kairos and Cloudinary) and iOS technologies (ARKit) that allowed this working prototype to be built in under 24 hours. We believe Levels could be extremely useful as both a standalone app or as an integration into an existing product, and are excited about building it out with more features in the very near future.